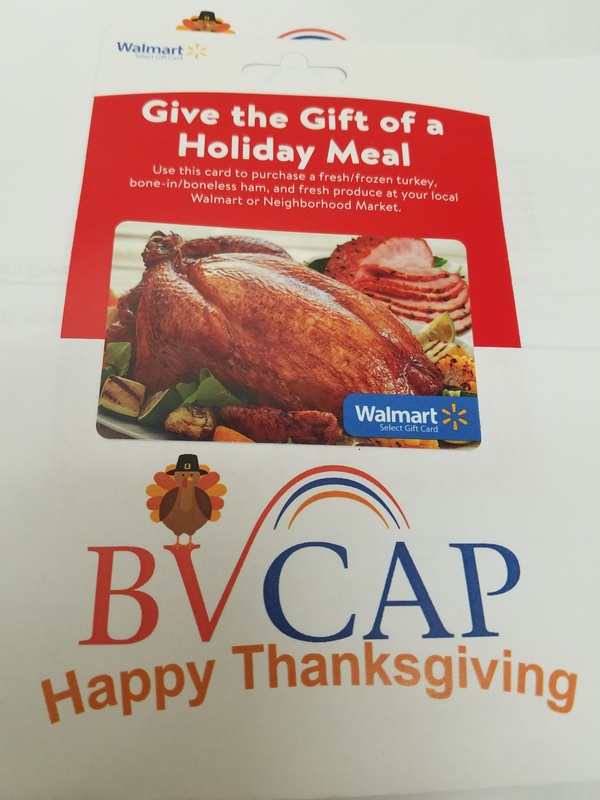 Last week BVCAP provided $5000 in gift cards to help families buy food for Thanksgiving dinner! 100 clients received a $50 Wal-Mart gift card to purchase poultry, ham, and fresh produce. Happy Thanksgiving! ← Heating Assistance is Now Open!